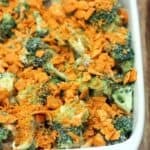 This delicious Broccoli Casserole is one of my favorite easy Thanksgiving side dish recipes. I’ve got too many Thanksgiving side recipes to share, and just not enough time! 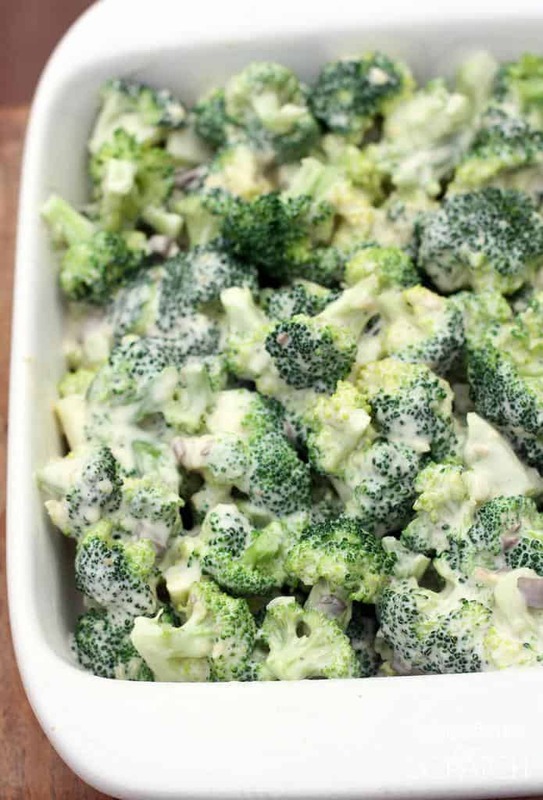 Did you catch the other Thanksgiving side dishes I shared this week? This Sausage Cranberry Pecan Stuffing , Sauteed Brussels Sprouts with Cranberries and Pecans and a roundup of tons of Thanksgiving side dishes that can be made in advanced! Growing up, my mom always hosted our huge extended family for Thanksgiving. We could always expect 50-65 people so there was lots to do to prepare. Those busy mornings are some of my best memories cooking with my mom. My mom always let me prep the turkey, make our favorite homemade rolls, sweet potato souffle, and two of my favorite lemon pies. 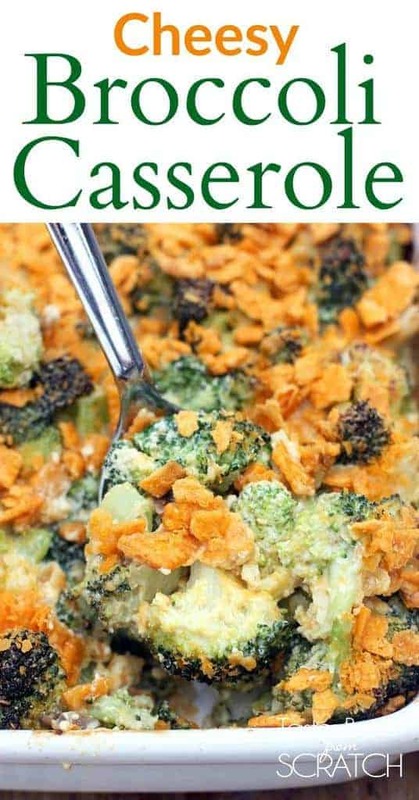 My aunt would always bring this Broccoli Casserole and it was always a hit! 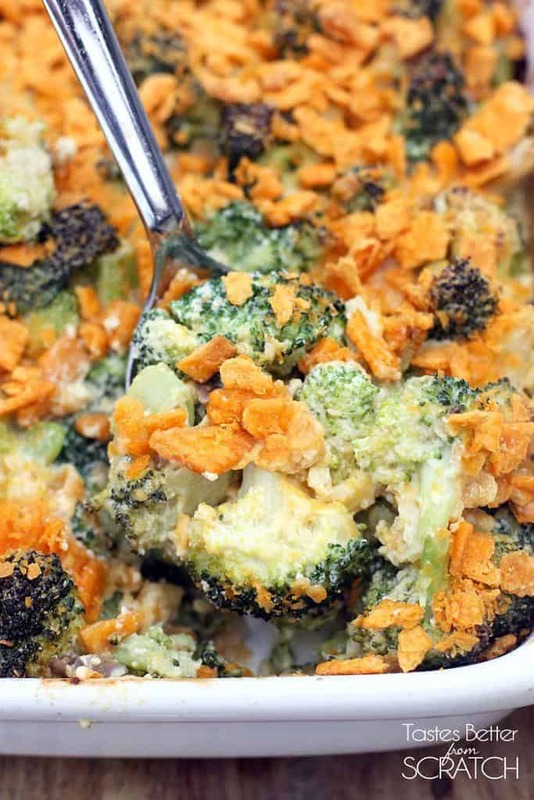 Broccoli baked in a creamy sauce and topped with cheese crackers. 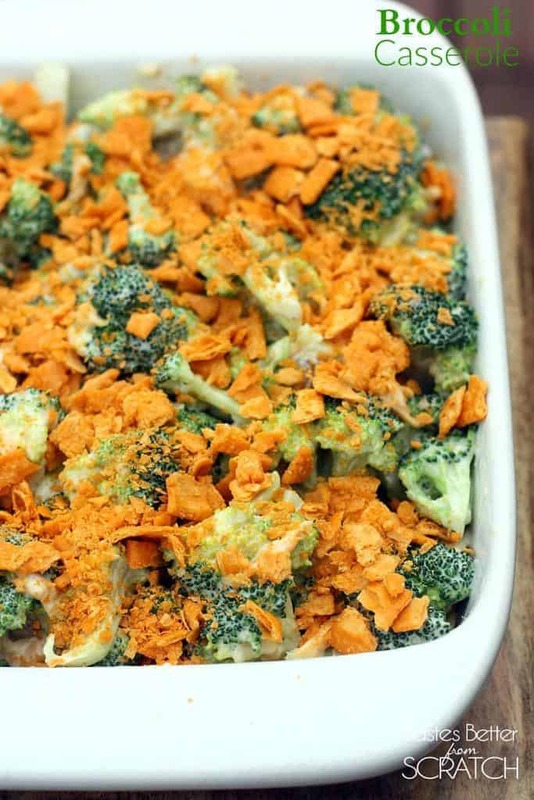 Forget the green bean casserole–this cheesy Broccoli Casserole get my vote every year! Bring a large pot of water to boil. Boil broccoli for 2 minutes. Drain well. In a large mixing bowl combine mushroom soup, mayonnaise, eggs, onions and shredded cheese and mix well. Pour over broccoli and toss to combine. Pour into greased casserole dish. Sprinkle crushed cheese crackers on top. Bake at 400 degrees F for 40-45 minutes. I was looking for black bean soup, I think cuban style. Did not find it, BUT, I did find several others recipes that stopped me in my track. So…no comment about the recipes yet. But I will get back to you!!! So excited . I have made this recipe for 23 years. It’s requested at every holiday dinner. Even the uncle that never liked broccoli became a convert. It’s really amazing. Thanks Jennifer! It’s a winner! Yum! Thanks for a great recipe!